Thinning hair and hair loss often are related to DHT (dihydrotestosterone), which plays a key role in male pattern baldness. 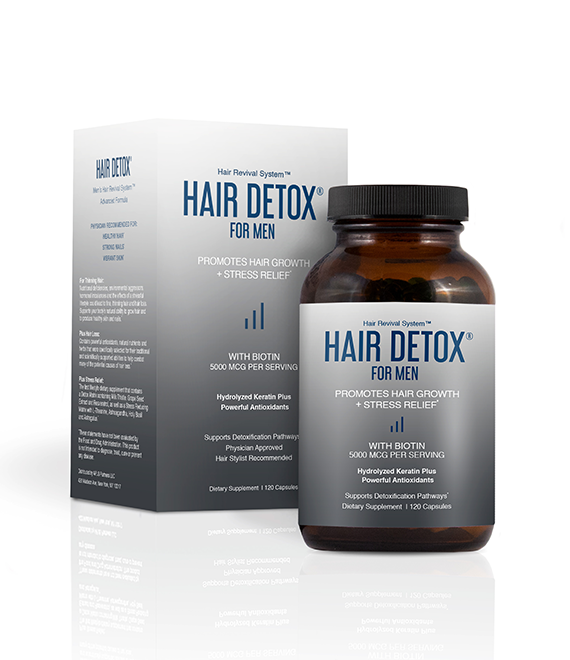 Hair Detox for Men contains Saw Palmetto, a known DHT blocker. Additionally, it fills in dietary gaps with Biotin and Hydrolyzed Keratin, plus essential vitamins and antioxidants, and helps support the detoxification pathways to create the ideal environment for healthy hair growth and scalp maintenance. 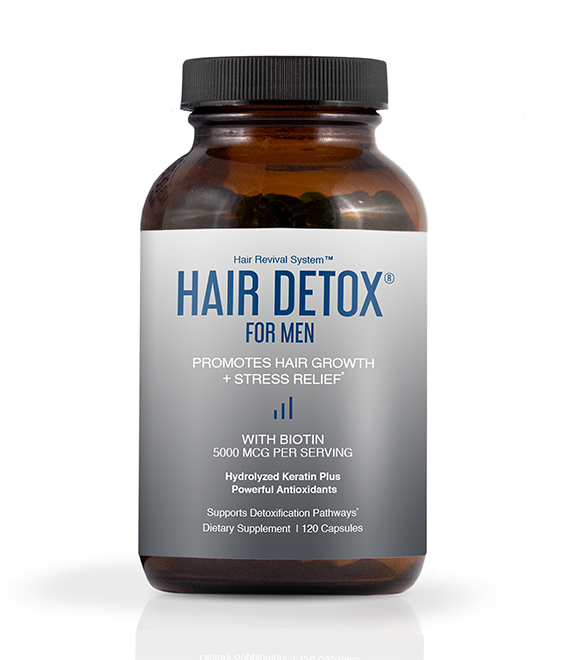 For the active man, Hair Detox includes MSM, which may help reduce inflammation, and Grape Seed Extract to support cardiovascular health. With a unique Stress Relief Matrix that won’t interfere with energy levels.